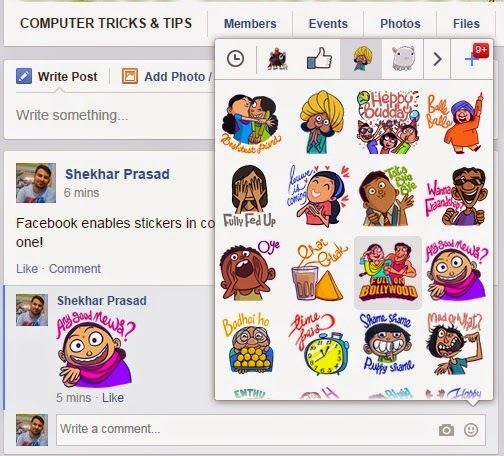 Facebook enables stickers in comments. Comment below your favorite one now! Now wait is over for the guys who were waiting for eanbling stickers on facebook comment. 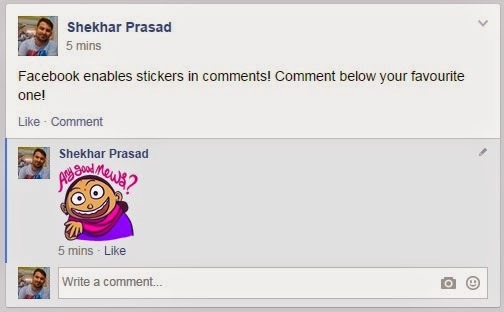 Facebook now enabled Stickers in comment also. Now it would be more fun and more expressive comment in facebook status. it enables the stickers in chat. Click on the smiley button on comment and get your smileys. You can add many more free smileys with the + option on top right side of smiley window as shown beloew. PLEASE LIKE US on Facebook for more such updates.